Train Watchers Heaven! Kingman, Arizona is perfect to watch and photograph trains. Many have enjoyed watching the trains from the parking lot and railroad property between the Powerhouse Visitor Center and the Burlington Northern Santa Fe Railway depot. With as many as 100 trains a day it provides a perfect place to view and photograph the passing trains. The local bus stop at the east end of the parking lot makes a perfect place to take train pictures. If you like night photography, the Amtrak Passenger train stops twice a day, once from the east and once from the west, both times in the middle of the night. And the good news is that a formal park between the Powerhouse Visitor Center and the railroad depot is being developed. 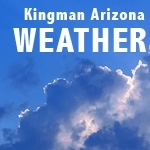 City officials expect the restored train depot to attract tourists, especially "train buffs" who want to know more about the history of train travel through Kingman. A portion of the loading dock could become a viewing platform and a place for photos of the trains. 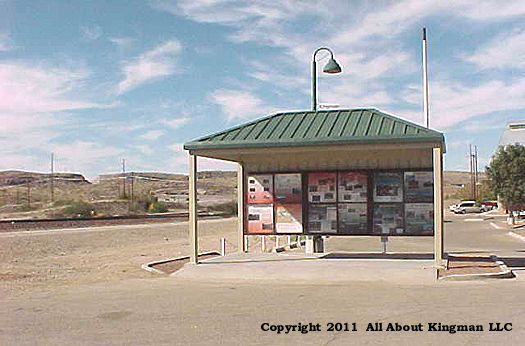 Kingman, Arizona Depot Was Renovated in 2010!